Leather Cleaners and Conditioners are mainly used to clean and remove dirt on leather surfaces. Leather cleaners are widely used. They are usually applied to the brush with a cleaning agent before use, and then repeatedly brushed on leather dirt until foam is generated. After the foam is fully dissolved, the foam can be wiped clean with a sponge or water. Finally, the leather is placed in a ventilated place and air dried to complete the cleaning process. 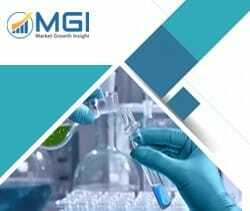 This report studies the global Leather Cleaners and Conditioners market status and forecast, categorizes the global Leather Cleaners and Conditioners market size (value & volume) by manufacturers, type, application, and region. This report focuses on the top manufacturers in North America, Europe, Japan, China, and other regions (India, Southeast Asia). Focuses on the key Leather Cleaners and Conditioners manufacturers, to study the capacity, production, value, market share and development plans in future. Regional and country-level analysis of the Leather Cleaners and Conditioners market, by end-use.